Your home is probably your largest investment, and an important part of your life. Keeping the exterior clean doesn't just give you a source of pride, it also keeps mold and mildew from damaging your home's paint and building materials. Our well-trained, professional technicians are experienced in exterior cleaning, and know how much pressure to use and which cleaners will work best on any exterior surface. The Full Blast crews have years of experience in cleaning homes, and are licensed, bonded, and insured. Call us today and find out for yourself how reasonable our rates are. We will clean your home's exterior with detergent and gentle pressure. This beautifies your home and prevents mildew from damaging it. This will clean off spills and accumulated dust and dirt, and remove mildew that attacks your stain and timbers. This leaves you with a pleasant, appealing deck again. This removes old sand, weeds, and algae. We then refill the joints with polymeric jointing sand, which holds the pavers in place and prevents weeds from returning. We then apply a sealer to enhance the appearance and prevent the algae from returning. We clean the concrete to restore its like-new appearance, then apply a sealer to prevent winter salt damage. This will keep your concrete from pitting or crumbling, and help prevent cracks. 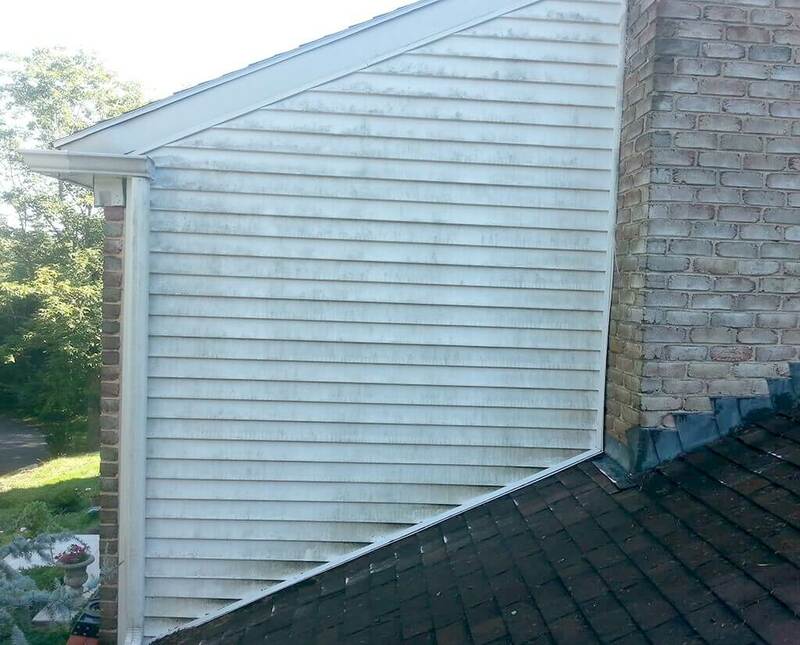 With no pressure, to preserve your shingles, we clean your roof of dirt and remove the black algae streaks. 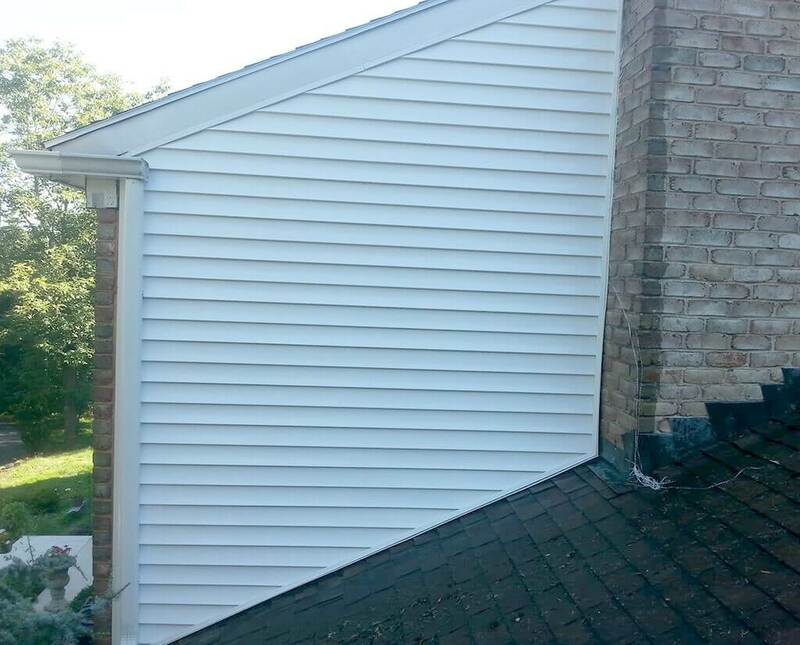 That algae erodes your shingles by attacking the asphalt that they are made of. 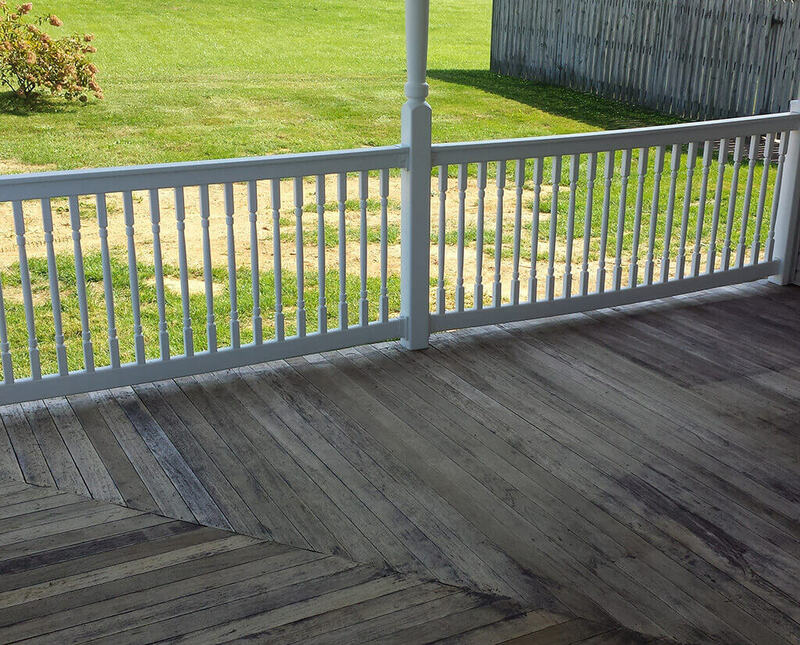 Worn stain can't protect your deck from the elements, causing premature aging and rot. 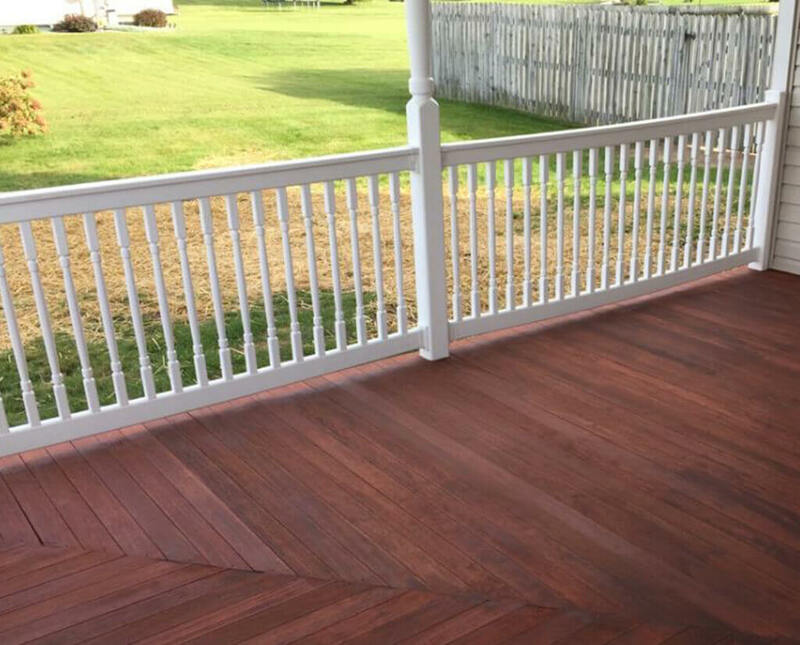 We will apply a fresh coat of stain, protecting your investment and beautifying your deck. Leaves in your gutters block the flow of water, leading to expensive water damage. We will clean your awnings, leaving them looking clean and bright. We will remove the grime and mildew from your swing sets, slides, and monkey bars, refreshing their appearance and making them safer to play on.